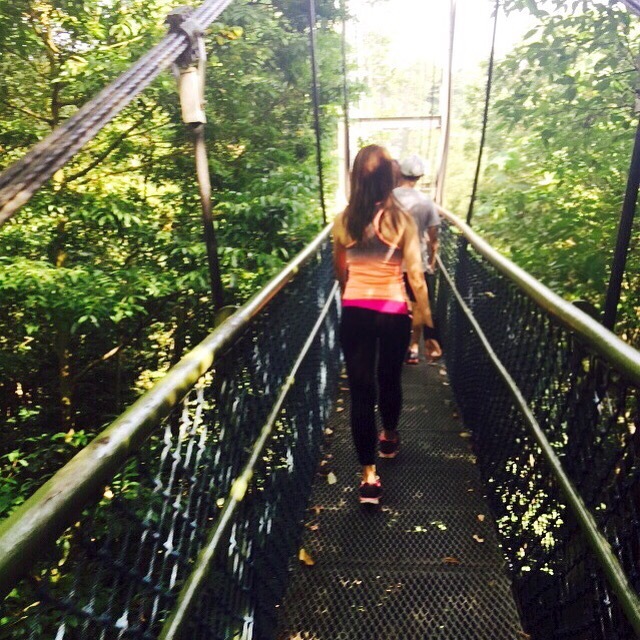 Healthy workout and morning walks are great to feel energetic throughout the day. A successful exercise or weight loss program, it would be to exercise first thing in the morning – every morning! Some mornings, you may just be able to fit in a 10 minute walk, but it’s important to try to do something every morning. 1. Over 90% of people who exercise *consistently*, exercise in the morning. If you want to exercise consistently, odds are in your favor if you exercise first thing in the morning. 2. When you exercise early in the morning, it “jump starts” your metabolism and keeps it elevated for hours, sometimes up to 24 hours! That means you’re burning more calories all day long just because you exercised in the morning! 3. When you exercise in the morning you’ll be *energized* for the day! Personally, I feel dramatically different on days when I have and haven’t exercised in the morning. 5. If you exercise at about the same time every morning, and ideally wake-up at about the same time on a regular basis, your body’s endocrine system and circadian rhythms adjust to that. Physiologically, some wonderful things begin to happen; A couple of hours *before* you awaken, your body begins to prepare for waking and exercise because it “knows” it’s about to happen. Why? Because it “knows” you do the same thing just about everyday. You benefit from that in several ways..
a) It’s MUCH easier to wake-up. When you wake-up at different times everyday, it confuses your body and thus it’s never really “prepared” to awaken. b) Your metabolism and all the hormones involved in activity and exercise begin to elevate while you’re sleeping. Thus, you feel more alert, energized, and ready to exercise when you do wake-up. c) Hormones prepare your body for exercise by regulating blood pressure, heart rate, blood flow to muscles, etc. 6. For many people, that appointed time every morning becomes something they look forward to. It’s time they’ve set aside to do something good for themselves – to take care of their body, mind, and soul. Many find that it’s a great time to think clearly, pray, plan their day, or just relax mentally. 8. Exercise first thing in the morning is really the only way to assure that something else won’t crowd exercise out of your schedule. When your days get hectic, exercise usually takes a back seat! 9. If finding time to exercise is difficult, anyone can get up 30 to 60 minutes earlier to exercise (if it’s a priority in your life). If necessary, you can go to sleep a little earlier. Also, research has demonstrated that people who exercise on a regular basis have a higher quality of sleep and thus require less sleep! * Credit : copyright 2004 by Greg Landry, M.S.Author and exercise physiologist, Greg Landry, offers free weight loss and fitness success stories and targeted, highly affective weight loss programs for women, men, type 2 diabetics, and people with slow metabolisms and hypothyroidism..
After my walk I will consume Kinohimitsu Joint Pro 360. It comes in a handy sachet size packed with Glucosamine 1500mg, Chondroitin 1200mg and MSM 900mg . Completely what I needed for my daily joint care. It is especially formulated to benefit sports lovers, sedentary individuals, ladies who wear high heels and people with weak knees. 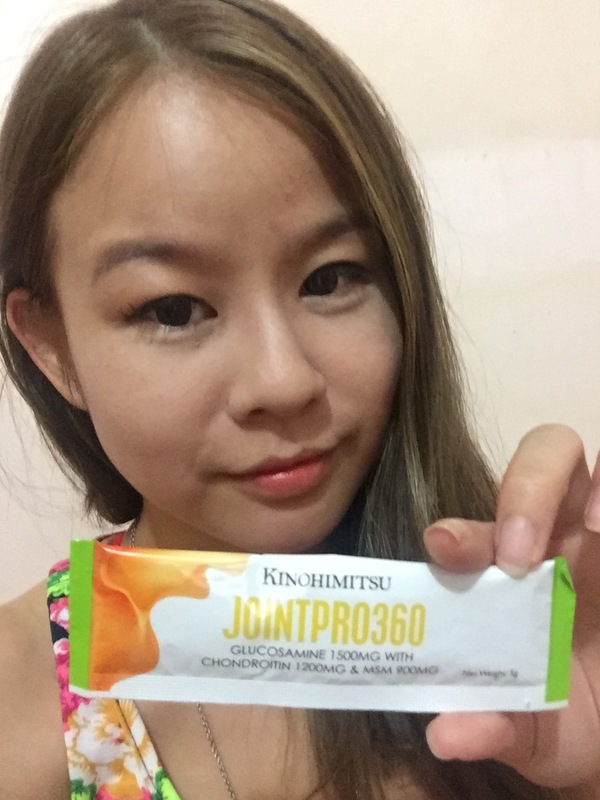 Compared to other join formulas in the market, kinohimitsu JointPro 360 offers less hassle, and is more hygienic. instead of having to take large, multiple capsules, one can enjoy fast-absorbing drink anytime and anywhere. it works effectively to support healthy joint and cartilage and promote flexibility. A major building block that forms cartilage for elasticity, resilience and shock-absorbing properties. Increases the production of synovial fluid to lubricate joint and ease joint movement for better flexibility. Mix one sachet into 150ml of lukewarm water and consume after meal. Catch Lee Teng (李腾) and 金姐 (金银姬) on Mediacorp Channel 8’s 小毛病大问题 (BODY SOS) as they talk about JointPro360! 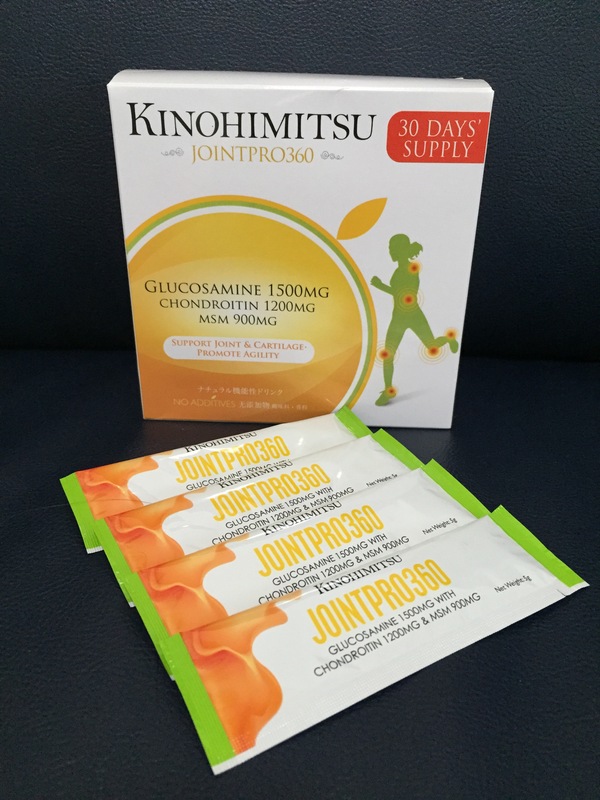 Do you know that JointPro360 not only helps to alleviate joint pain, it helps to maintain healthy joints and is perfect for working ladies who’re constantly on their heels too? Avaliable at OG Orchard Point, selected departmental stores and pharmacies. This Father’s Day, get this health supplement for your dad. A small little gesture of love is what we need to Love.